Love the rock and the ‘so true’ quote. I’ve shared many sweet moments with Lord while digging in the dirt. Love the rock and the ‘so true’ quote. I have shared many times with my sweet Lord while digging in the dirt. Nothing like it! I love Triscuits. Sounds like a great recipe. basil is one of my fave herbs. My pots of herbs got some much needed rain today. Lovely garden with all the herbs. 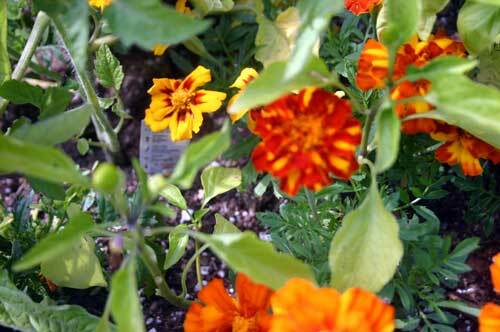 I see the basil and the marigold. 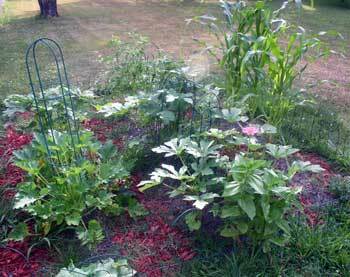 Your veggies and herbs look great! I always prefer to use fresh herbs in my recipes, it really does make a difference. Great looking vegies-nothing better. In the summer I try to grill everything outdoors-grilled vegetables takes so yiummy. 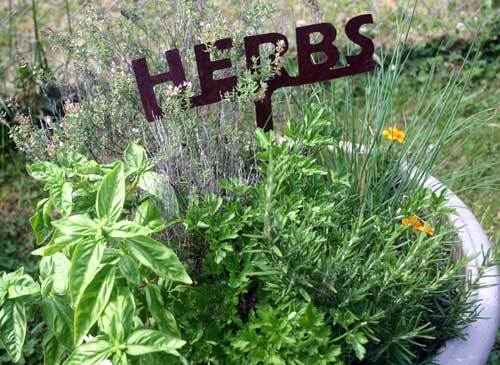 Happy Outdoor Wed.
Fresh herbs taste so much better in a recipe than dry. You herbs look very healthy. Yummy recipe too. Thanks for sharing it. I couldn’t agree more. Even a pot on a patio can be a personal garden. nothing better then fresh herbs! 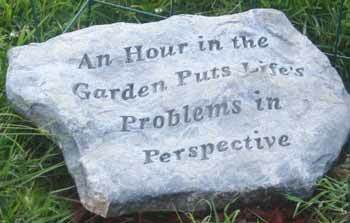 Your garden is really doing well. I have tomatoes that will be ready soon. Garden looks great. We have only gotten lettuce so far but there will be plenty of other great veggies soon.